Tata Motors has rolled out a batch of Nexon compact SUVs from its Ranjangaon plant in Maharashtra. The Nexon will be showcased at various Tata dealerships in the coming days, ahead of its market launch slated to take place during the festive season. 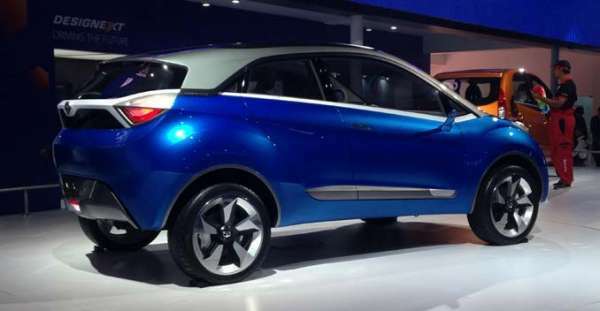 Tata Motors recently released the engine and gearbox details of the compact SUV. The Nexon will come with a 110hp, 1.5-litre diesel engine and a 1.2-litre turbocharged petrol unit, also developing the same amount of power. The diesel engine puts down 260Nm of torque while the petrol delivers 170Nm. Both engines will be mated to a six-speed manual gearbox. A diesel-AMT combination will be launched after a few months. The Nexon’s styling is based on Tata’s Impact design language that was seen earlier on the Hexa, the Tiago and the recently launched Tigor compact sedan. Unlike a more traditional SUV stance, the Nexon uses a coupe-like profile. It gets stylish dual-tone touches on its exterior and will come with similar interior quality seen on the Tiago and the Tigor compact sedan. On the inside, the Nexon gets a free-standing 6.5-inch touchscreen. The touchscreen system sits atop the dash, while the rest of the interior follows a simple, straightforward design with a lot of bits borrowed from other Tata cars. Expect the Nexon to be well-equipped, with features like climate control and rear aircon vents, to name a few. A standout feature will be the drive mode controller, a segment-first, which, interestingly, isn’t a small button but a nice chunky knob to choose between three drive modes – Eco, City and Sport. The Nexon will take on the likes of the Ford EcoSport and the Maruti Vitara Brezza, both being popular contenders in the sub-four-metre compact SUV segment. Expect Tata to price the Nexon SUV aggressively in the region of Rs 7-10 lakh.